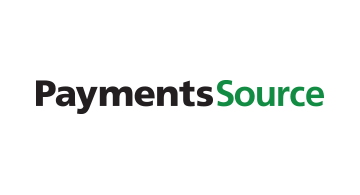 PaymentsSource-SourceMedia’s flagship resource for thepayments industry- is committed to be the top provider of authoritative andindependent information serving the entire payments ecosystem, and spanning allpoints in the payments value chain. With its exclusive focus on the paymentsindustry and a full-time editorial staff, PaymentsSource.com offers timely andcomprehensive coverage of the rapidly changing payments business. PaymentsSource.com delivers news analysis, opinion andinsight on topics including regulation and compliance, technology and security,risk management and analytics, mobile and user experience, retail POS ande-commerce. With over 20% percent of our audience located in Europe, theMiddle East and Africa, PaymentsSource.com provides a global audience with theideal interactive platform for thought leadership, popularized products and,most importantly, up to date news on the mind share of global decision-makers. PaymentsSource’s user community of more than 50,000 includessenior executives and strategists at banking companies, processors, networks,technology companies, retailers, and venture financier.